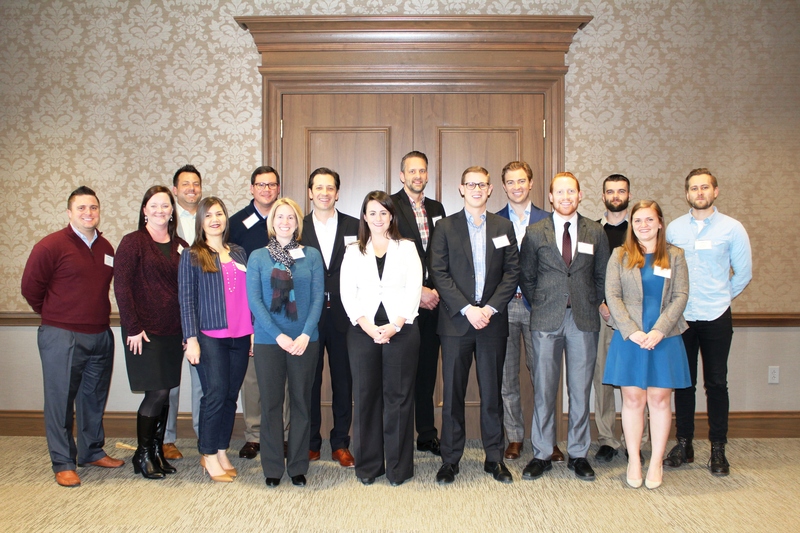 Young Leaders Council (YLC), a Nashville-based nonprofit organization that has trained more than 2,500 men and women to effectively participate on the boards of nonprofit agencies since 1985, recently announced the graduates of its inaugural partnership with Belmont’s Jack C. Massey Graduate School of Business. The Massey alumni who have completed 28 hours of leadership training include Kurt Alexander, Touchstone Medical Imaging, Mark DeYoung, Alfa Insurance Company, Cameron Eades, W Squared, Inc., William Gilmore,Anderson Piping / Proctor & Graves, Tyler Graham, Bradford Real Estate, Aaron Harris, BubbleUp, Courtney Hensley,Aon Risk Solutions, Colton Langianese, Sarah Cannon Research Institute, Lindsay Mathews, BDO USA, LLP, Aaron Montlary, HCA Healthcare, Londa Morgan, Smith Travel Research, Tim Morrison, Ernst and Young LLP, Jennifer Pagliara, CapWealth Advisors, LLC, Jennifer Patterson, c3/consulting, Joshua Roberts, BlueCross BlueShield of TN and James Sherer, SalesOlogy. In addition to the partnership with Belmont, more than 130 graduates enter the nonprofit community each year from four other YLC classes including two in Davidson County and two in partnership with the Williamson Chamber and the Junior League of Nashville. YLC was created by the Council of Community Services, the HCA Foundation and the United Way in 1985 to address the need to broaden and strengthen Nashville’s volunteer leadership base. For more information about Young Leaders Council, contact Diane Hayes at (615) 386-0060 or click here.